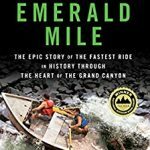 The Emerald Mile: The Epic Story of the Fastest Ride in History Through the Heart of the Grand Canyon – Kevin Fedarko. This grand story, written by a former Colorado River raft guide, is a page turner from page one. The Emerald Mile is two stories in one—about a river boatman who ran his boat through the Grand Canyon during the El Nino of 1983, an event that nearly took out Glen Canyon Dam. 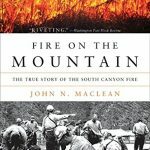 Fire on the Mountain: The True Story of the South Canyon Fire – John Maclean. This true story takes place in the Colorado Rockies near Glenwood Springs. Another page turner, Maclean describes the unfortunate series of events that took the lives of several brave firefighters. Maclean’s writing style is poignant and non-judgmental. The South Canyon Fire was a travesty. Maclean tells the story with empathy and grace. 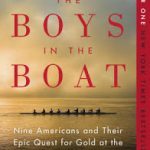 The Boys in the Boat: Nine Americans and Their Epic Quest for Gold at the 1936 Berlin Olympics – Daniel James Brown. An awesome and true account of the 1936 Men’s eight-man rowing team. Brown could not have told this story any better. Makes you wish you were there. A fantastic read. 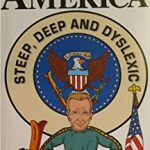 Steep, Deep and Dyslexic – Jeffrey Bergeron (aka Biff America). Bergeron is not only a ski bum, hiker, and mountain bike fanatic but also a prolific writer. He’s an outdoorsy Colorado mountain guy who can make you laugh or tear up in the same paragraph. Very funny, clever, and smart writing. A humor writer for various newspapers and magazines, Bergeron deserves a national following. Here’s a shout out for you Biff. Love your stuff. 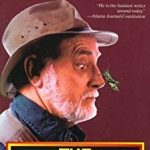 The Grasshopper Trap – Patrick McManus. 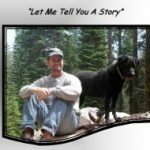 My favorite book from this Spokane, Washington based humor writer and former columnist for Field & Stream and Outdoor Life. If you’re a hunter, angler, or an outdoorsman who gets lost, misplaces car keys, or cross-wires trailer lights, you’ll like McManus. Search for these books at your local bookstore. Or take the binary highway and find ’em on-line. Merry Christmas and happy reading. Like my Etc.Guy Facebook page and tell me if you enjoyed these books. 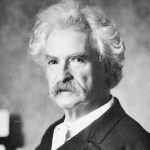 This entry was posted in Holidays, The Humor Project and tagged adventure stories, american humorists, daniel james brown, forest fires, grand canyon, john maclean, kevin fedarko, Patrick McManus, rafting, ski bums, top three list, true life stories. Bookmark the permalink. Too much news on TV, I’ll check these books out.